Auto Repair Shop Logan, UT | Brent Allen Automotive Inc. Welcome To Brent Allen Automotive, Inc.
Logan’s premier full service automotive repair shop! Open since 2001, we provide everything from oil & lube services to engine repair for both foreign and domestic vehicles. 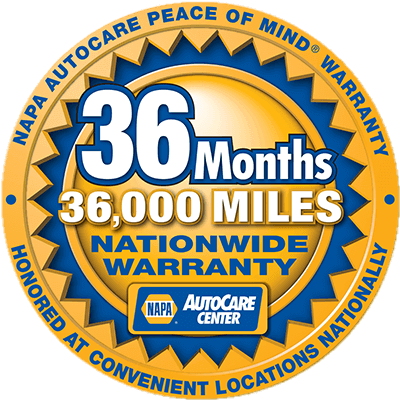 Here, you’ll get a quality oil change that ALWAYS comes with a FREE 30-point inspection and fluid top-off. Every oil change is a chance to maintain the entire vehicle and make sure it runs smoothly for years to come. Check our coupons to get a FREE tire rotation added on to your next oil change. Heading off on a road trip? Make sure your vehicle is safe and functioning properly with a 60 Point Inspection from Brent Allen Automotive. We know that when you go to your local auto repair shop you want to avoid a high invoice and a load of technical jargon. At Brent Allen Auto, we are different! We make it our top priority to ensure your visit here is a good one. Our promise is to give you honest pricing, top-of-the-line maintenance & auto repair, and a quick turnaround. After being in business for over 18 years, Brent Allen Auto has become one of the best and largest independent auto repair shops in the Logan, UT area. We stand firm in our resolve to maintain honesty and integrity and put our customers first 100% of the time. You can be confident the experienced team at Brent Allen Automotive located in North Logan, Utah to bring you the absolute best results for your car or truck. Give us a call or stop by today! Check out our Frequently Asked Questions page to learn more about who we are and what we do. “We’ve been going to Brent Allen’s for years and they have always taken excellent care of our vehicles and us. They have been completely honest and upfront with any issues that arise, and patient and informative when answering our questions. We highly recommend them if you’re looking for quality repair work from an excellent and honest shop!” – Layne N.
“We always call Brent Allen Automotive first! They treat their customers like family and are completely honest. We appreciate their expertise very much, and never fail to be pleased with their service. It is such a safe feeling to know that we can call on them, expect, and receive conscientious work on our cars. Integrity is their value and motto!” – Glen W.
“We have used Brent Allen Automotive for many, many years and have ALWAYS found them to be honest, accommodating, and accurate in their diagnosis and repairs. They are prompt with their service and very fair with their pricing. We never worry about our cars if Brent Allen and his associates tell us we are “good to go!” – Vicki B. “I have been to a half dozen other auto repair companies in Logan, Brent Allen is the only one I will go to from here on out. I have taken my vehicle there for a couple big fixes now. They are professional, the do a quality job, they were in my best interest, honest and timely. I’m very happy I found them.” – Austin J. “These were the ONLY guys that could see me early on a Friday morning. I was strongly advised to have my car inspected before having the thermostat I bought put in. I’m glad I listened. It needed the fans replaced instead. They saved me a lot of time and money and had great customer service with a comfortable waiting room.” – Brighton M.